Even though I should be sad because that means my spring break is over..BUT since I worked all break- I guess I'm finally free? Here are the nails I have been loving the past few days. Who knew that cheap nail polish from retail stores would have ridiculously awesome pigment? Not this girl, that's fo sho! with a super-soft pinkish glitter accent from Ulta in Diva! Sorry these pictures are awful. This is exactly how the color looks from the bottle! LOVE! If you missed this week's post, I did a review on Olay's Facial Hair Remover Duo! As well as a review about lip stains, my first one four made me fall in love with this product! Gorgeous blue! I have been accumulating Forever21 nail polishes for a few years now, and I've always been happy with them. I think they're especially great nowadays b/c they've come out with tons of different glitters! Really? The Forever 21 I go to started selling them...late last summer if I'm not mistaken. They have really nice colors! I have yet to see the glitters! But I was happy they had some textured polish that I was able to buy in a pretty orange rust as well as lavender! I love That blue! How are the polishes from forever 21? They are actually really awesome! I have had my nails painted this colors for 5 days now? Maybe more- and I didn't wear a topcoat and it still looks great! The pigment is really good. I thought with this color I would have to apply a few coats, but this is just one nice coat of it. It's one of those few polishes that the color you see is that color you get! 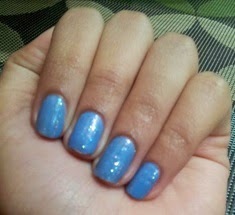 Surprisingly, same goes for New York & Company polishes! Love that color! I've never tried Forever 21 polishes. Thanks, I really liked it too! They are really nice actually and one bottle is just $2.95! Try it out, I'm sure they have really pretty colors right now! I haven't been in a while but I know they came out with some really nice glitters recently. 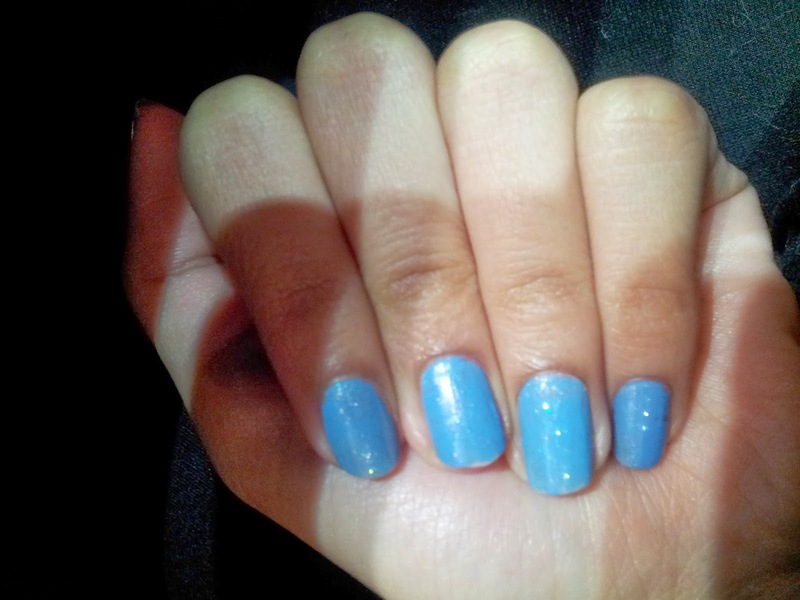 Loving this blue!! I'm really going to need to check out these F21 polishes! I see gals using them online and they seem to be really great, especially for the price point. Love the glitter, too!! They're only three bucks + awesome quality = win win! LOL I try to keep it different. You're very welcome haha! Oh man now that song is in my head hahaha!! I haven't checked out any of the f21 polishes but I really need to!! Pretty Pretty blue! HAHA! You're oh so very welcome! Oh you should! they are AWESOME! Cheap + awesome quality!